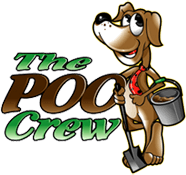 The POO Crew, LLC Denver’s only all inclusive pet services company is currently accepting applications for 2 positions in our pet waste removal department. If you are an animal lover, dependable, detail oriented, love walking and like working outdoors, then this is a great opportunity to join our team and grow with our company. Residential duties/requirements include but not limited to: The removal of all pet waste from clients yards, Leaving door hangers at each house, Being kind and courteous to all dogs if they are in the yard with you, Clean and orderly appearance as you will be going to multiple people’s houses, Driving in an orderly fashion as you will be in a marked company truck, Able to lift more than 50 lbs., Able to work alone everyday (Personal time management is a must). Commercial requirements are all of the above including being able to work around others and lift 50 lbs continuously while walking. Enjoy working outdoors in all weather conditions!! Company truck provided for the residential technician (clean driving history a must!). Commercial technician will be riding with a supervisor and going to apartment complexes and HOA’s to clean the grounds. Please fill out the application below and email it to us at terry@poocrew.com.